You will need a thin eyeliner pencil to start. Hold the pencil against the side of your nose, vertically, so its tip rests on your forehead. This is the spot where your eyebrow should start. As a guideline, make a small mark with the pencil there on your skin. This will help guide you as to where you need to remove, grow or fill in hair. Next, turn the pencil at an angle, holding it against the nostril, so that it crosses over the center of your eye. Notice where the pencil now intersects the eyebrow, this is where the peak of your arch should start. Make another mark on your skin as a guide here. Finally, hold the pencil diagonally from your nostril until it meets the edge of the outer eye. Where the end of the pencil now meets the eyebrow is your eyebrow’s ending point or tail. Make another mark on your skin here. 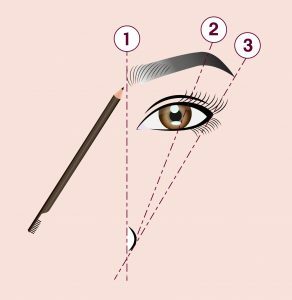 Using these three marks on both eyes provides you a general guideline on how the shape of your eyebrow should be, based on the shape of your face. If you cannot see a shape because of hair covering the marked areas, try using a white colored eye pencil to mask the hair so you can better determine the shape you prefer. 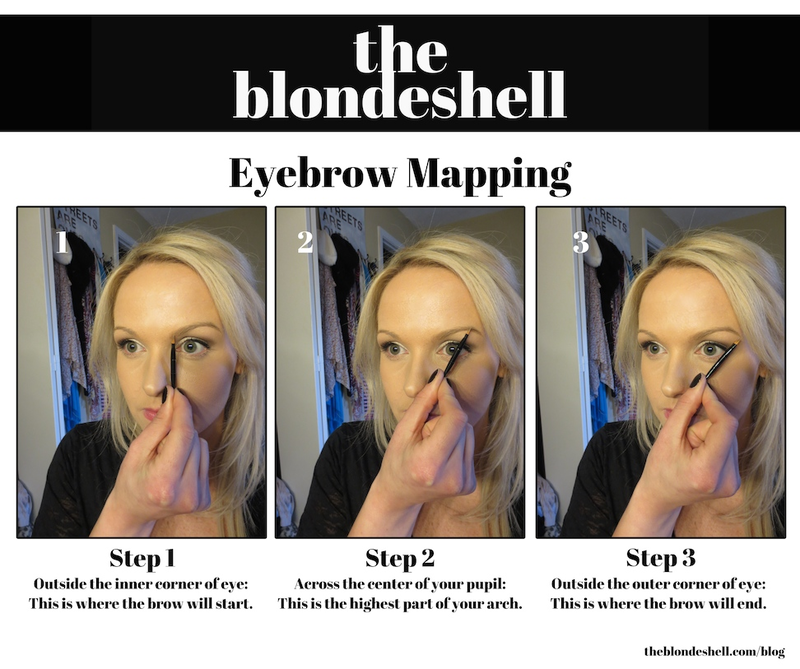 Alternatively, you can also use eyebrow stencils, if you are unsure about creating your eyebrow shape. Remember – Embrace the natural shape of your eyebrows and don’t try to change them completely. You are born with the correct eyebrow shape for your face so let that be your overall guide.